Puerto Vallarta’s historic downtown area is well known for it’s bumpy cobblestone streets and high-rise sidewalks that help prevent damage to buildings during floods. Walkways around the city are narrow, uneven, contain obstacles, and have rows of steep stairs. While there is no question that disabled visitors to Puerto Vallarta will encounter an equal share of pleasant surprises mixed with steep challenges, as can be seen in the photos below, it’s important to know that Puerto Vallarta’s Tourism Board in conjunction with Puerto Vallarta’s Municipal Council on Disability (COMUDIS) has implemented several initiatives to improve accessibility for its disabled residents and the more than 13,000 mobility-challenged visitors that arrive each year to this popular tourist destination. A broad mix of accessibility and challenges for the disabled visitor in Puerto Vallarta, Mexico. Puerto Vallarta’s new commitment to disabled travelers resulted in a slate of renovations and improvements that were completed in 2012. The city’s famous mile-long beachfront boardwalk, the Malecon, was completely remodeled, widened, and expanded. This important and historic beachfront area is now accessible for pedestrians, wheelchairs, scooters, bikes, and strollers. The pedestrian-friendly and wheel-chair-accessible Malecon in Puerto Vallarta, Mexico is a beautiful and wide one-mile-long beachfront boardwalk. 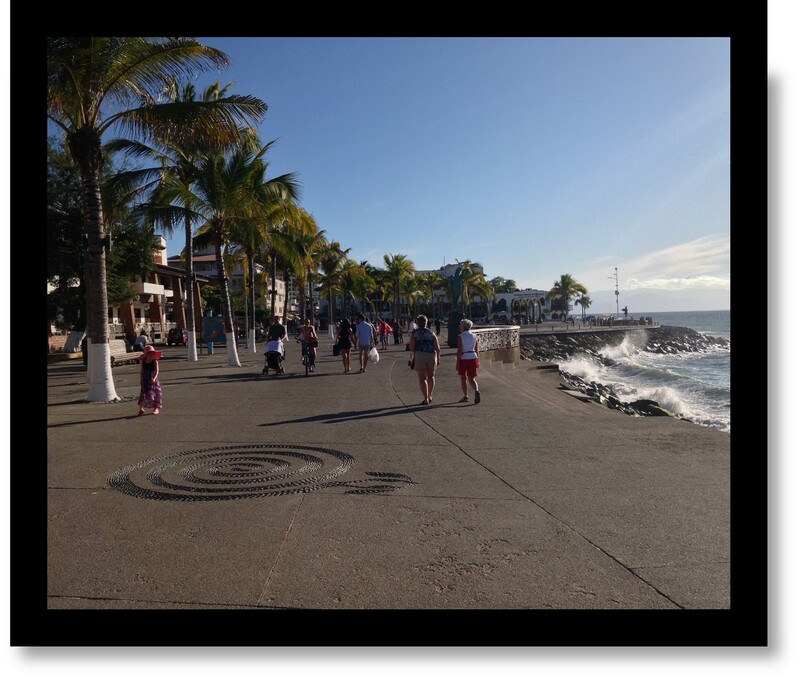 The Malecon’s lovely wide pathways consisting of smooth pavement makes this large section of the city’s beautiful beachfront area accessible for all residents and visitors. One-mile-long beachfront boardwalk: The Malecon in Puerto Vallarta, Mexico. Additional improvements to the downtown area of Puerto Vallarta include several widened sidewalks and bike lanes north of the Malecon along with new curb cuts. The new Los Muertos Pier that has a wide and smooth wheelchair-friendly walkway. The Romantic Zone south of the Malecon also received much-needed improvements to include some widened sidewalks and ramps. But when crossing any street in Puerto Vallarta it’s important to remember: PEDESTRIANS DO NOT HAVE THE RIGHT OF WAY. 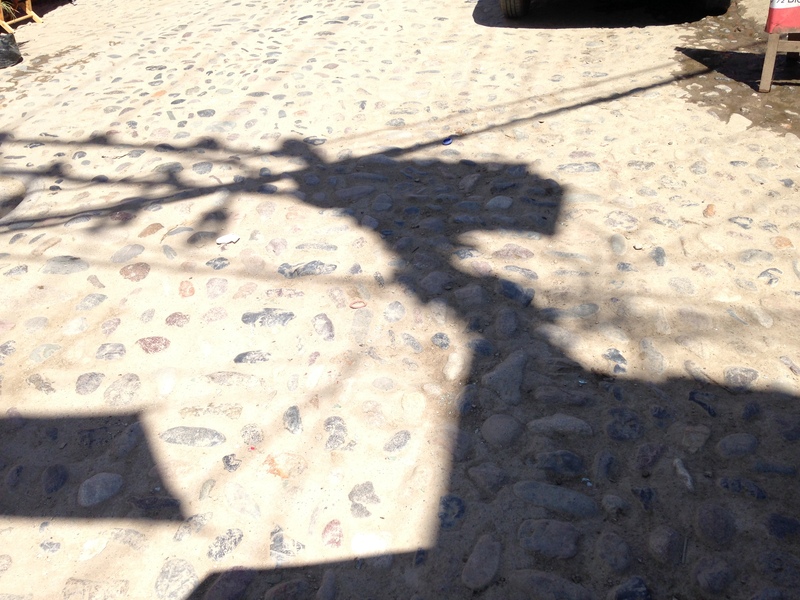 Accessibility Issues: In the downtown areas of Puerto Vallarta (Centro and Romantic Zone), cobblestone streets remain a challenge for disabled visitors. Although navigating the inner city areas of Puerto Vallarta is still very difficult for anyone with mobility issue due to steep stairs, narrow passageways, and bumpy cobblestone streets, its definitely exciting to finally see that the improvements made thus far have resulted in more visitors being able to enjoy many beautiful areas of this famous destination with wheelchairs, walkers, canes, knee or joint issues, and other mobility challenges. 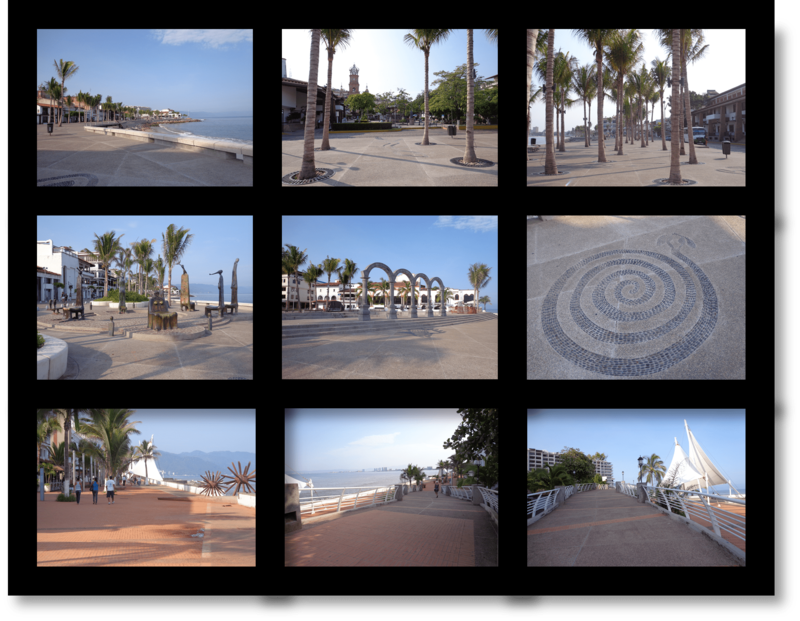 It’s of note that the Marina Vallarta neighborhood of Puerto Vallarta has a long, wide and scenic promenade that is wheelchair friendly. Just south of Marina Vallarta is the beautiful and modern Galerias Vallarta Mall that has handicap parking spaces and an elevator that can accommodate wheelchairs and strollers. Additionally, the Nuevo Vallarta neighborhood just 15 minutes north of the PVR airport is for the most part wheelchair friendly. Nuevo Vallarta’s two-story Paradise Plaza Mall has a very large elevator that can easily accommodate wheelchairs and strollers. Nearby MEGA grocery store has handicap parking spaces as well as large entrances and aisles that can accommodate a wheelchair. Public beach access areas in Nuevo Vallarta have ramps leading down to the sand. Restaurants from the beach with easy access are ETC Beach Club next to the Kite Towers condo complex, and Coco Beach restaurant which has a public beach access point with ramp right next to it. May 2015 we’ll be focusing on accessibility within Banderas Bay. We’ll take new notes, photos and videos and share them with you here. Bookmark this page so you can return for updates! Beach accessibility in Bucerias, Mexico. The cute nearby town of Bucerias (about 20-25 minutes north of the PVR airport by taxi) just received a beautiful facelift with numerous beach access areas that have both stairs and ramps leading down to the sand. This is such a welcome delight for visitors to the Banderas Bay area with mobility challenges. The photos above show just a few of the ramps leading down to the beach, but most of the beach access areas in Bucerias now have fairly uniform beach access points. For convenient medical equipment rental options within Puerto Vallarta and Banderas Bay, visit our Medical Equipment Rental page.